On September 5th, on a complete whim, I purchased an adventure through The Clymb to hike Mt. Kilimanjaro, just a little under a month before the start of the trip. I did no research, no preparation, no flights booked, just a complete YOLO moment, and a decision that I’ll never regret. 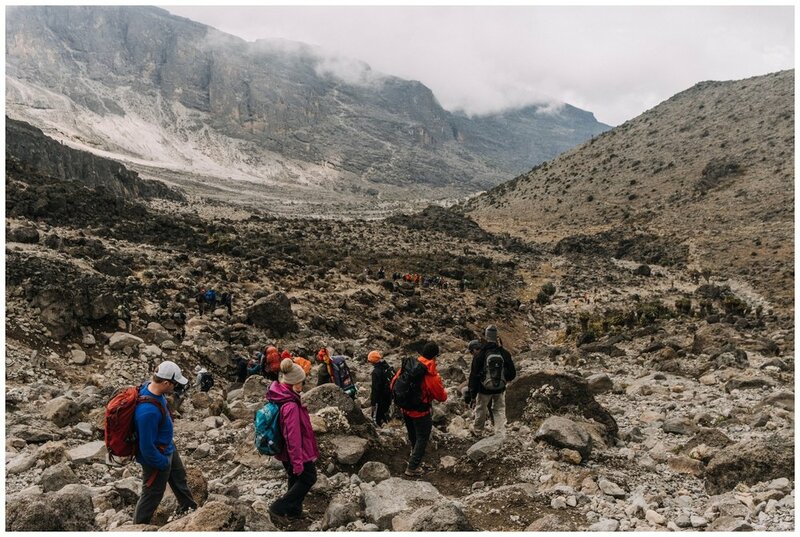 Since I did not have a travel buddy, I knew doing a joined group adventure would be the best way to go, and what’s better than to visit Africa for the first time and hike the world’s highest free standing mountain!!! My Kilimanjaro adventure was done with the tour operator Altezza Travel, and the route I did was the 7 day Lemosho route. This route is rated to be the most scenic and has a high success rate due to good acclimatization schedules. There are many other routes and different trip lengths, but I would not recommend anything less than 6 days since success rate start to drop due to not enough time for acclimatization. Remember, you are hiking up to over 19,000ft! Altitude Sickness is no joke! The key to success is a slow ascent. I took Diamox pills throughout my trip to help alleviate symptoms of altitude sickness. Go see your doctor to get a prescription just in case your tour operator does not provide it. Please take it, there is really no reason not to. You don’t want to jeopardize your chance of summiting. I took Diamox for Mt. Whitney and the Inca Trail, both of which reached an elevation of almost 14,000ft. Some side effects include tingling of the face, fingers, and toes, as well as having to pee very frequently since it’s a diuretic. Still, I would take these side effects over altitude sickness any day! Before my flight, I had about 1 day to pack and prepare for this trip. Your tour operator should provide you with a list of what you should pack, but you can also find this easily on many websites. It’s mostly a lot of cold weather clothing as well as rain gear. Thankfully I already had everything I needed, but if you don’t already own all of this gear, you can always rent from your tour operator. Day 1- My climbing group consisted a total of 14 people. Around 80% were in their mid/early 20s-30s and 20% were in their 50s and 60s. There were quite a few solo travelers like myself with a mix from the United States, Europe, and Canada. 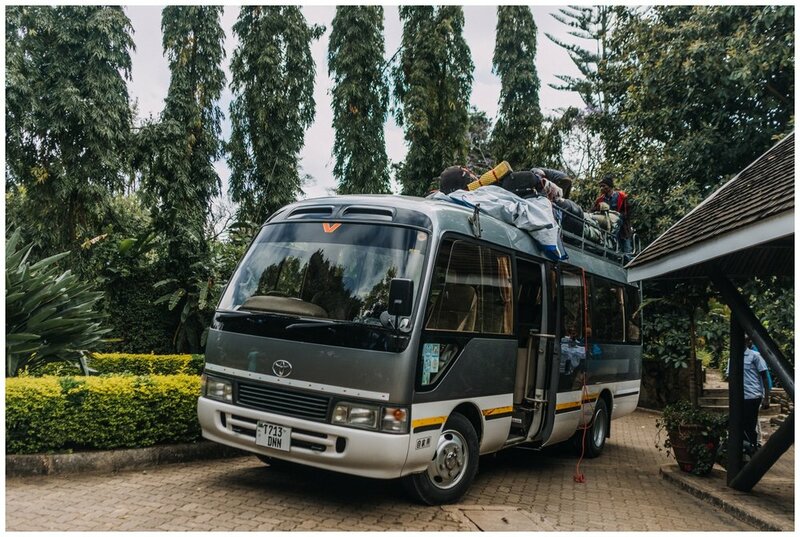 We got picked up at our hotel in the morning and drove ~4hrs to the Kilimanjaro National Park western entrance, Londorossi Gate. The road was mostly unpaved, so the ride was very bumpy and slow. The seats on the bus were uncomfortable and cramped, but ok this is Africa! After permits and registration at the gate, us, our porters, guides, and all the gear were transported to Lemosho Glades, the starting point of our hike. For our group of 14, we had a total of 40 people as support staff, this included guides, porters, chefs, and servers. All of the camping equipment, cooking gear, food, water, our personal items, tables, chairs, and etc were all carried up the mountain by our porters. For this day, we hiked an easy 3 miles through the moorland vegetation of the Shira plateau. It was foggy and moody and drizzled just a little bit. After around 2 hours of hiking through this vegetation, we arrived at our first camp, Shira 1. While on the hike, we saw all the porters speeding past us, by the time we arrived at our camp, all the tents were already set up. At this campsite, I saw Mt. Kilimanjaro for the first time when the clouds finally cleared up, and I couldn’t help but feel a great sense of awe and amazement. Our meals took place inside the mess tents set up by our porters. We even had dinning tables, chairs, plates, and utensils! We had 3 hot meals cooked by our chefs every day. As you can imagine the challenges of transporting food and cooking on a mountain, what we ate was not so memorable. It consisted of a lot of fried stuff, rice, spaghetti, soup, and porridge. Nevertheless we were so grateful! After dinner was also our first medical check where our blood oxygen saturation levels were measured and a quick survey to see if any of us are experiencing any symptoms of altitude sickness. Our guides continued with these medical checks twice a day to make sure that we were all in good health. It got really cold at night, but our tour company gave us plush animals stuffed with a hot water bottle that we put inside our sleeping bags. This helped so much and I was very comfortable in my 15F sleeping bag. Day 2: After a 6:30AM wake up call and a hot breakfast, our porters packed up all the tents and gear while we got started on our trek to Shira 2 camp. It was a very moderate hike that took around 4 hours and an elevation gain of about 1300 feet. After arriving at Shira 2, we did a 1 hr acclimatization hike to a slightly higher elevation to help with the acclimatization process. After a short break at the higher altitude, we hiked back to our campsite. At this campsite, we got to experience a spectacular sunset and saw Mount Meru, the fifth summit of Africa. Day 3: On this day, our hike became a little bit more difficult with lots of ascents and descents. In the morning, we hiked to Lava Tower where we had lunch. This was at an elevation of around 15,000ft, and I was still feeling great with no symptoms of altitude sickness. After a late lunch, we started our descent to Barranco Camp, which was at an elevation of about 13,000ft. The descent was rather hard on my knees, and after almost 8 hours of hiking in total that day, I was excited to finally sit down and relax at camp. Barranco Camp was one of my favorite campsites! I woke up early to shoot some photos before the camp became bustling with activity. Day 4: On this day, we hiked up the Barranco Wall, which was a totally different terrain than what we have previously experienced. We had to scramble over rocks and even had to do a few bouldering moves. I found it rather fun and a nice break from the monotony of the usual terrain. After around 5 hours, we arrived at Karanga Camp. Day 5: I started to get a little bit nervous since summit day was just around the corner. After breakfast, we hiked for around 5 hours from Karanga Camp to Barafu Camp, the starting point for a night summiting Uhuru Peak. We also did another acclimatization hike that day to an elevation of almost 16,000ft. At this point I started to feel a headache, which was completely normal and I took some ibuprofen to help with that. Hiking at this altitude started to become more laborious and I was easily out of breath, just walking to the bathroom had me panting! After dinner, we were briefed about the plan for summit and everyone went to bed around 9:30PM to try to get whatever little rest that we could before waking up at 11:30PM for our push to the summit. Day 6: After only 3 hours of sleep, we were woken up at 11:30PM to get ready to start our summit hike at midnight. The night was cold and dark. We could see a parade of lights from the headlamps of other hikers slowly going up into the dark abyss. We hiked in a single file line slow and steady. At such a high elevation, altitude sickness is so real, even after doing everything to prevent it. I started feeling a headache and nausea and vomited sometime 5hrs into our hike towards the summit. I felt slightly better after throwing up and continued to push forward, just focusing on putting one foot in front of the other. The freezing cold, altitude, and sleep deprivation challenged me both physically and mentally like never before. At 6am, the sun started to rise and its light and warmth gave me life. The last hour of the hike towards the summit was the toughest and I cried either out of joy or delirium when I finally reached Uhuru Peak at 8am. The view at the summit was so spectacular, I will just let the images speak for themselves! After around 30mins at the summit for pictures and celebratory hugs, we hiked back down to Barafu camp for a short break. The altitude was really getting to me and I threw up again when I got back to Barafu. I was feeling so out of it and the 2hr nap we had at Barafu just didn’t feel enough, I could’ve slept for days! We had to drag ourselves out of bed and hike down to High Camp for the night so that we can sleep at a lower elevation. In total we hiked around 12hrs on day 7. Day 7: I slept like a baby throughout the night and woke up feeling like a brand new person. My headache and nausea was gone and I was finally able to feel the tremendous sense of accomplishment and the realization that I just summited the world’s highest free standing mountain!! After a celebratory song with the crew, we said our goodbyes to our porters and hiked all the way down to Mweka Gate, the park’s exit. The descent took us through the beautiful green lush rainforest. What an incredible journey. The true heroes of the day though were the team of 40 porters and guides that made this impossible journey possible. None of us could’ve done this without them. I am forever grateful and humbled by this experience!